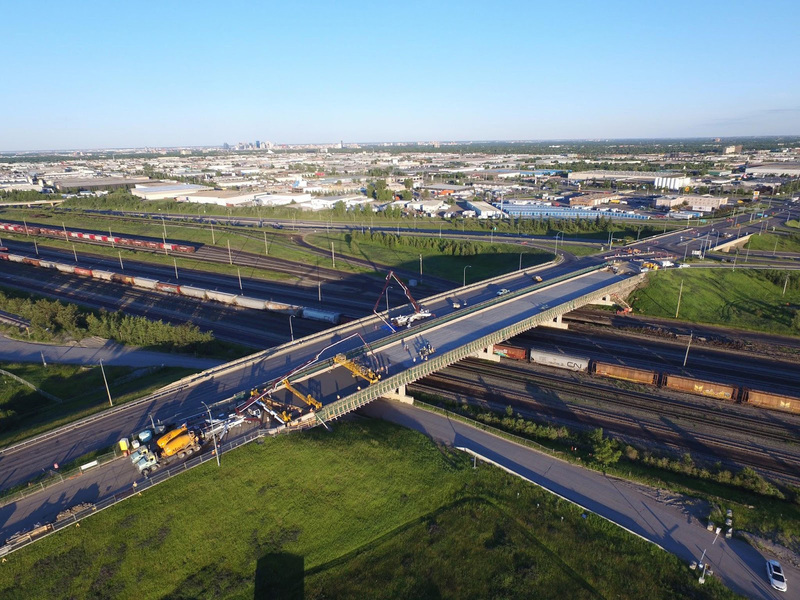 The southbound 170 Street Bridge over the CN Rail yard (known as B171) underwent rehabilitation work in 2017. This included deck removal and replacement, barrier rehabilitation, and abutment rehabilitation. Some underdeck bridge work, including pier repairs and slope protection repair/replacement, was done on both B171 and the northbound bridge (known as B170). 170 Street is a major north-south arterial roadway connecting Edmonton industrial, commercial, and residential areas with St. Albert and Yellowhead Trail/Highway 16. The intersection of 170 Street and Yellowhead Trail features three bridges: two side-by-side over the CN Rail yard (B170 northbound and B171 southbound); and one with two-way traffic over Yellowhead Trail (B185). B185 was completed in 1982, with B170/B171 completed in 1983. 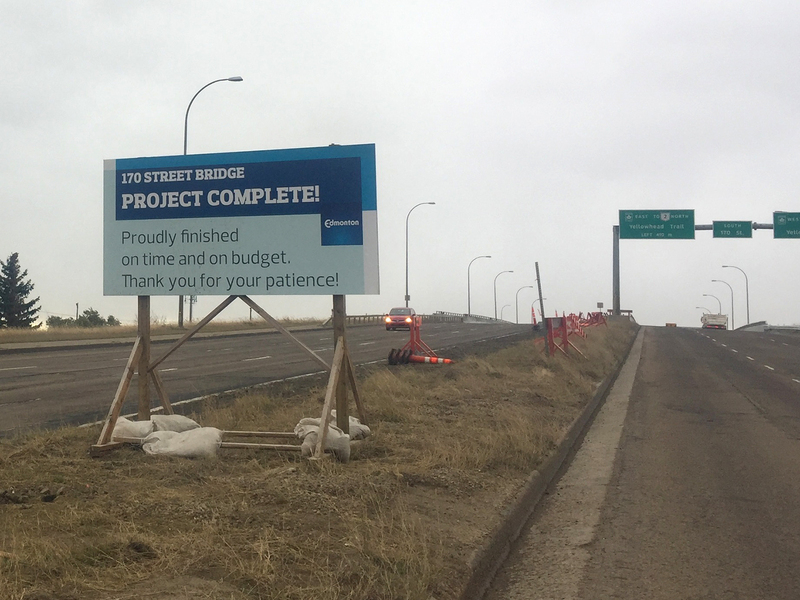 The bridges include three lanes of traffic in both directions, turning lanes onto Yellowhead Trail, and a sidewalk on the east side. This is the first major rehabilitation of these bridges. There is currently no timeline for further rehabilitation work on B170 and B185.